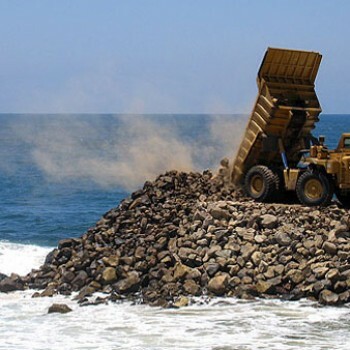 To protect and preserve the coastal environment with a focus on the surf zone. Save The Waves’ vision is a world where waves and coastlines are cherished and protected, and surfing provides a proactive vehicle for long-term coastal conservation. We strive to treat everyone inside and outside the organization with respect, fairness and dignity. We conduct ourselves with the utmost integrity with respect to our members, supporters, partners, and other stakeholders. Everything we do is in partnership with local communities, organizations, governments, businesses, and surfers. We believe in empowering our employees, partners and supporters, and feel that every individual and every action can make a difference. We seek to use the most innovative approaches, technologies, and strategies to protect our coastlines, engage with communities and reach supporters. We celebrate the people and places in which we work, and the mutual successes we have. Coastal Development, Water Quality & Watersheds, Sea Level Rise & Coastal Erosion, Marine Debris, Reefs, and Access. Save The Waves protects coastal ecosystems around the world through innovative strategies in partnership with local communities. Utilizing a unique combination of protected areas, economics, and direct action, Save The Waves partners with locals to preserve their coastal resources and in turn strengthen their communities. Through Surfonomics we determine the economic value of a wave and surfing to local communities to help decision makers make choices to protect the value of their coast and waves. When an epic wave or coastline is under threat from poorly planned development or pollution, we mount campaigns to educate the public and take direct action through our Endangered Waves and Branded Campaigns. Save The Waves Coalition is the only nonprofit that is focused exclusively on conservation of surfing coastlines on an international scale. Help protect the places you love.